The BMW is one good all-round package. YOU only need look at Holden to see how quickly the motoring landscape can change. After holding the mantle as Australia's number one car for 15 years, the fall from grace has been rapid. 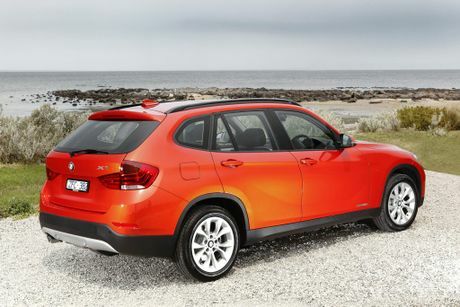 Sports utility vehicles are hot to trot, and BMW was quick to seize this momentum shift at the market's premium end. Yet the Bavarian carmaker too has suffered at the hands of competition. After initially owning the compact SUV genre, or sports activity vehicle (SAV) as BMW calls it, new players have moved into the turf. Late last year BMW added some extra bells and whistles to its X1 range, including an eight-speed automatic transmission. There is a lot to like about the BMW interior blueprint. Across the range is a similar style and button positions, where you find lovely crisp dials, gauges and buttons. About the only thing we have issues with is the stalk-mounted cruise control, always mistakenly cancelling the speed when we want to go quicker. Armed with some of the optional extras, including sat nav, the cabin is a plush destination. Leather-trimmed seats could do with some additional bolstering around the base yet are comfy enough for a long journey. Upgrades over the previous model see some extra shiny finishes in various places across the dash which raises the premium tone. Four adults can be transported, but it can get cramped in the back if the front two passengers are tall and shift the pews a long way back. During some tricky wet conditions, the X1 was mountain-goat-like in its prowess. Bucketing rain rarely unsettled the little high-riding wagon and it was surefooted at highway speeds with the all-wheel drive strutting its stuff. While BMW's are known for their direct and great steering feel, this X1 felt remarkably heavy at slow speeds. The trade-off was great response in the bends although it felt like tough work on occasions through the metropolitan areas. This 2.0-litre diesel donk is a gem of an engine. Robust and burly in its acceleration delivery, we loved the mid-range clout for making mince meat of steep hills and overtaking with ease. The eight-speed automatic transmission is brilliant, and most drivers would rarely feel the need to use the paddle shifters as the gear changes are well timed. Straddling the comfort and performance line nicely, the X1 manages to soak up most of the bumps well although railway tracks and potholes can cause some thuds. Bespoke is the new catchphrase among the premium marques. People are seeking unique cars, and the luxury options list reflect this. BMW has a hefty array of extras available, but all X1s come with man-made leather trim, cruise control, rear parking sensors, climate-controlled air con, leather-lined steering wheel, smart key with stop/start button, auto headlights and wipers, Bluetooth phone connectivity, CD stereo with AUX-IN and alloys. The best value are the xLine ($3200) and Sport Line ($2300) packages, which present compelling value-adds and really raise the l bar. Players fighting for supremacy in this genre include Audi's Q3 2.0 TDI (from $54,500) and the slightly larger Range Rover Evoque 2.2 eD4 Pure (from $49,995). This diesel is a miser. We achieved just over six litres for every 100km, which is slightly above the official figure. Its consumption is aided by auto stop-start (which turns off the engine when stationary) and the long legs of the eight-speed box. BMWs traditionally have good resale, but those new to the brand may want to investigate servicing and insurance costs to avoid any shocks. 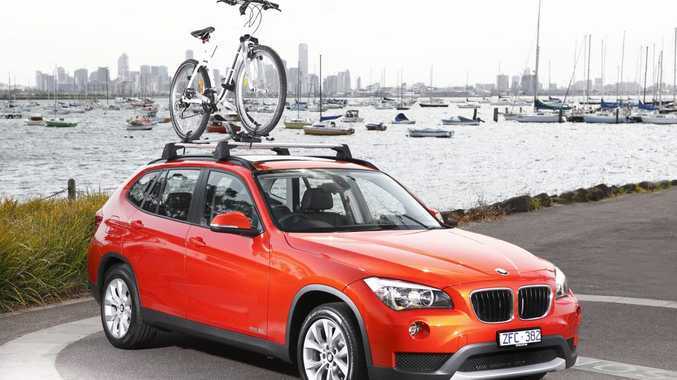 A handy run-about for the growing family, the X1 offers good internal space and a generous-size boot. Those with teens or who regularly carry older passengers might want to step up into the X3 or X5. The rear seats also have a great 40:20:40 split - perfect for awkward items. The propeller badge is the stand-out feature for many. Styling won't polarise onlookers, it's attractive with an executive aura. The good stuff: Fuel economy, strong diesel performance, badge kudos. What we'd like to see: Lighter steering load at low speeds, additional support at the seat base. Servicing and warranty: All BMWs have "Condition Based Service", but usually it's every 25,000km or annually. The warranty is three years and unlimited kilometres. Roadside assist runs for three years. Details: Five-door all-wheel drive premium sports utility vehicle. Engine: 2.0-litre four-cylinder turbo diesel generating maximum power of 135kW @ 4000rpm and peak torque of 380Nm @ 1750-2750. Transmission: Six-speed manual or eight-speed automatic. Consumption: 5.5 litres/100km (manual, combined average); 5.4 (auto). CO2: 145g/km (m); 143g/km (a). Performance: 0-100kmh in 8.1 seconds; top speed 215kmh. Bottom line: $54,900 (plus on-roads), as tested with optional automatic ($2693).